Such pretty eyes!!! Love the angle of the shot! I love this! 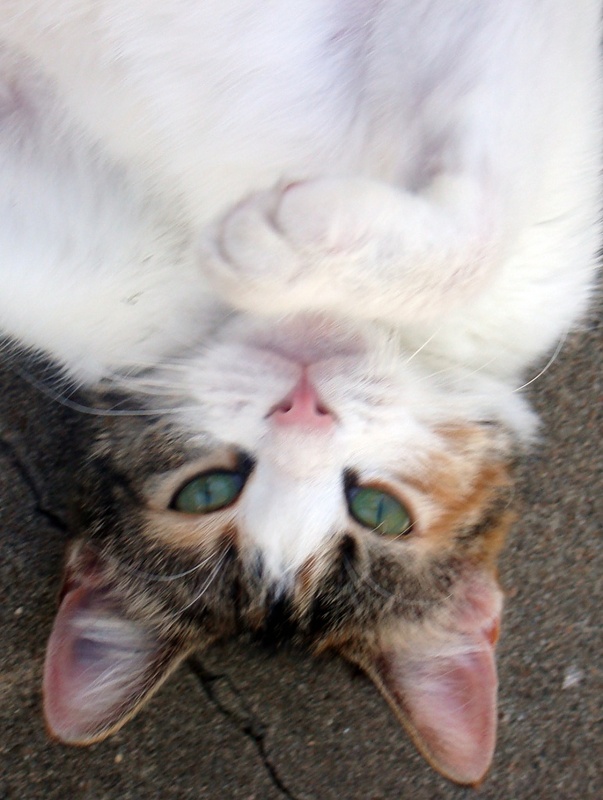 Such a pretty kitty and I love it being upside down! I like her perspective on things. A very nice pic of a very nice kitty. I have never understood why the saying is "It's a dog's world" WHEN quite obviously in truth "It's a cat's world" !!!!! Aww Della, she's *Your* baby! I saw her on the popular page and found her irresistable! Glad she led me here so I could tell you as much!